The Philadelphia 76ers may be without one of their top weapons as they begin their first round series against the Brooklyn Nets. 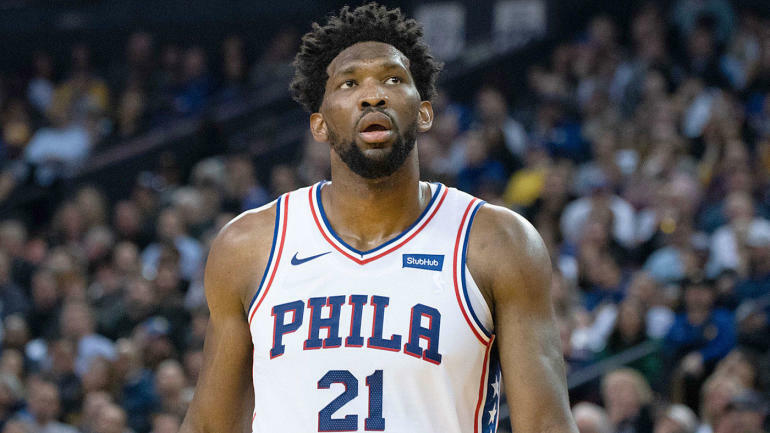 ESPN’s Cassidy Hubbarth spoke to Sixers star center Joel Embiid on Friday and Embiid admitted that he doesn’t know if he’ll be able to play on Saturday due to soreness in his knee that has lingered over recent weeks. Embiid practiced partially on Friday ahead of Game 1 on Saturday (2:30 p.m. ET — watch on fuboTV), and is officially listed as doubtful for the contest. Embiid missed five of Philadelphia’s final seven games of the regular season as he rested his knee. In addition, the former lottery pick also missed the team’s final two games with the No. 3 seed in the Eastern Conference locked up. “I just gotta keep [working] and see how I feel every day, and you never know what’s gonna happen,” Embiid said. Embiid was expected to be ready to play when the opening round began. However, general manager Elton Brand was asked about Embiid’s status prior to Philadelphia’s regular season finale against the Chicago Bulls and admitted that it’s “possible” that Embiid could miss Game 1. The Sixers All-Star big man put together averages of 27.5 points, 13.6 rebounds, and 1.9 blocks while shooting 48.4 percent from the field in 64 games this season. Embiid has a lengthy injury history, so the Sixers were being cautious to end the regular season, but now it appears that it could be a possibility that Embiid will miss the playoff opener. If Embiid can’t go, Philadelphia does have depth in the frontcourt after acquiring Boban Marjanovic from the Los Angeles Clippers in the deal that brought Tobias Harris to the Sixers. In addition, the team signed veteran center Greg Monroe on April 4 after his 10-day contract with the Boston Celtics expired.